With Neptune Bathrooms no matter how complex or how simple the bathroom is – your in safe hands. We have over 10 years of experience in the bathroom industry and have helped many elderly or disabled people to create the right kind of bathroom to suit their special needs, budget and tastes. Our services are available both for domestic needs at home and for commercial use in retirement homes. We will help you make sure that your bathroom design works for you. For example, we can provide specialist solutions such as walk-in or power-lift baths. Alternatively, we can help you adapt your current bath to accommodate all kinds of bath lifts. 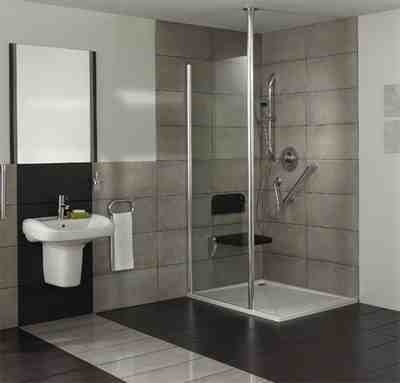 And, of course, we offer a full range of standard or adapted showers. Our designs can also be created to suit both your needs and the needs of other people who may need to use your bathroom as well. You can also rest assured that Neptune Bathrooms will install you the kind of quality products you need in your new or adapted bathroom. To find out more about how Neptune Bathrooms can make your bathroom work for you, please contact us. If you are looking for Disabled Wheelchair Access Bathrooms in Manchester or Oldham please call today!